Marco Pierre White has launched his first restaurant in Edinburgh. 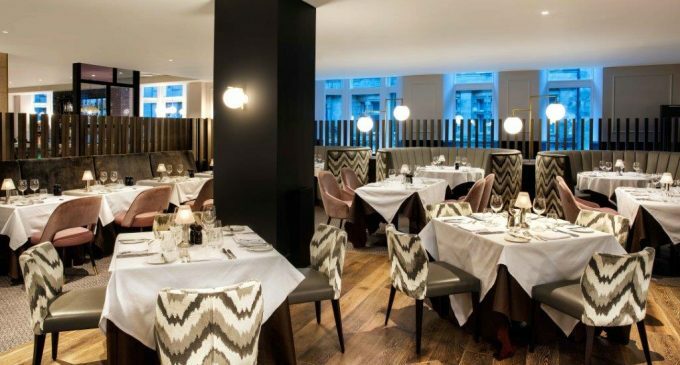 The Marco Pierre White Steakhouse Bar & Grill at the Hilton Edinburgh Carlton (pictured) has coincided with the relaunch of the North Bridge hotel under the Hilton brand, following a £17m investment. ‘The Steakhouse is all about classic dishes. I will always choose simple traditional cooking over fancy concoctions,’ he said. Marco Pierre White Steakhouse Bar & Grill Edinburgh opens as part of a franchise agreement between Marco’s Black and White Hospitality company and Hilton Edinburgh Carlton.